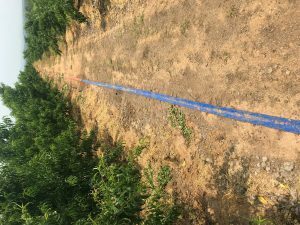 Home›Blog›How many ways of laying 8″ PVC lay flat hose? How many ways of laying 8″ PVC lay flat hose? In the application of water, the application quality is not only affected by the performance and quality of the product, but also by the way of its laying, so we have to understand the application of the 8”PVC lay flat hoseused in the way, so as to get better Of the 8”PVC lay flat hosewith the application effect. The laying of the watersteps is carried out vertically along the vertical staircase or the patio; the vertical laying along the external walls; the vertical laying of the stairs along the outside. These three kinds of vertical laying fire hose in the way from the top down drape the 8”PVC lay flat hoseas well. You can also take the safety rope upstairs, the rope from the top of a cast from the floor, the Department of 8”PVC lay flat hoseup and then pulled upstairs, this way much slower than the previous one. Above the 8”PVC lay flat hosebelt laying more suitable for the use of fire hose, for agricultural 8”PVC lay flat hosebelt, as long as the laying of the bridge, the road treatment, generally do not have too much problem, can be assured that use.